Harry Ainsworth is back from the brink and quizzing up a storm bi weekly at The Dreadnought Leith on Friday's from 7.30pm to 9pm. Join him and the gang for more of the unusual nonsense! "Instead of going clubbing, why not stretch those brain cells just a little, and groove out at the same time? 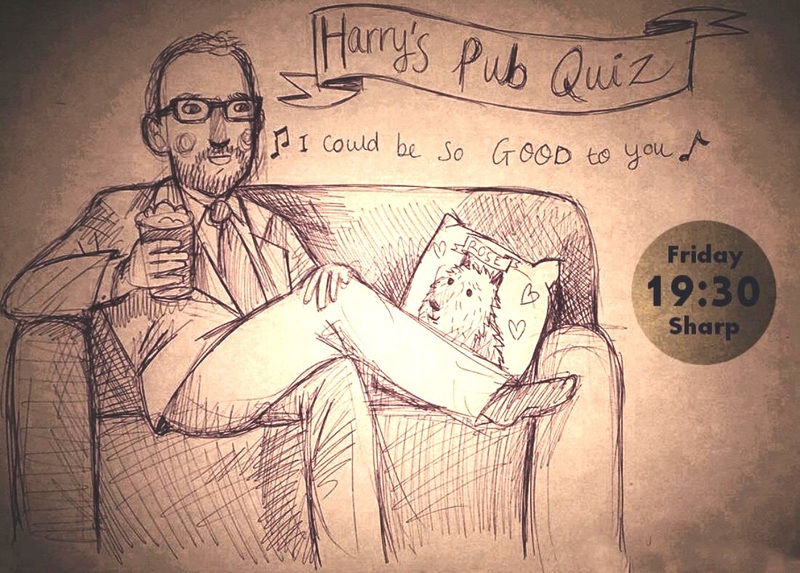 Harry’s Quiz is not only great fun, it’s packed with music and movie rounds – and the DJing is better than many straight-up London club nights. Your host Harry Ainsworth, cheesy alter-ego of comedian Garth Cruickshank, is friendly and funny, too"